This makes its parent company, Sembcorp Industries, the best performing stock in January. 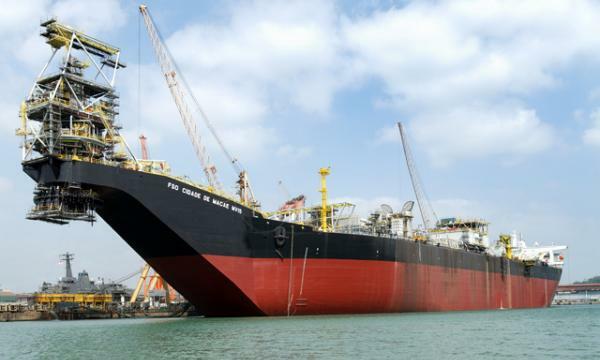 Sembcorp Marine Ltd. has gained almost S$2 billion ($1.5 billion) in just three weeks -- making its parent Singapore’s best-performing stock in the past month -- as investors and analysts became more optimistic on the prospect of a potential surge in new orders amid rising oil prices. The company, which is majority-owned by Sembcorp Industries Ltd., has received at least three rating upgrades from research firms this year. UBS AG and Nomura Singapore Ltd. upgraded the stock’s recommendation to buy this year, and OCBC Investment Research raised its rating to a hold from sell. Target prices from all three firms are sitting well above the 12-month average of S$2.12 from 20 analysts, according to data compiled by Bloomberg. This story is originally posted by Bloomberg. Read the full report here.